KATHMANDU, Jan 16: Though the government had targeted to reach 1 million tourists in Nepal it is couldn’t be successful but around 9 hundred thousand tourists visited Nepal in 2017. As compared to the previous year, the number of tourists have increased by 211,668. According to the Nepal Tourism Board, 940,218 tourists visited Nepal in 2017. The following number is 84,000 less than the target of government. In 2016, around 728,550 tourists visited Nepal by the airways and the plains. The government has targeted the target of 1 million tourists by celebrating Tourism Year in 2011 but this goal has not been completed after 10 years. According to Deepak Raj Joshi, Chief Executive Officer of Nepal Tourism Board, in this tenure there is positive arrival of tourists which nearly meets the target of 1 million. Despite having unstable government policies, earthquake, and blockage the number of tourists are increasing which can be taken as positive sign in this tourism sector. Although there is a problem like lack of infrastructure and political instability, the arrival of tourists is positive, but the number of infrastructure could not be increased due to lack of infrastructure, Amarman Shakya, Chairman of the Nepal Association of Nepal (HAN) said. He said, The International Airport having 1,300 capacity has to bear weight of 2,500 people now. The situation of the road is also very poor, but also tourists are coming in such a situation, Thus after the development of infrastructures there is no difficulty to increase the number of tourists. According to Deepesh Shakya, coordinator of Visit Nepal Europe, the number of visitors has increased in the year 2017 due to the successful completion of Visit Nepal Europe. Year 2017 has been successful to recover the degraded tourism condition of our country. Shakya, coordinator of the Experience Nepal-2015, said that Europe's programs have increased the desirefor tourist to visit Nepal. 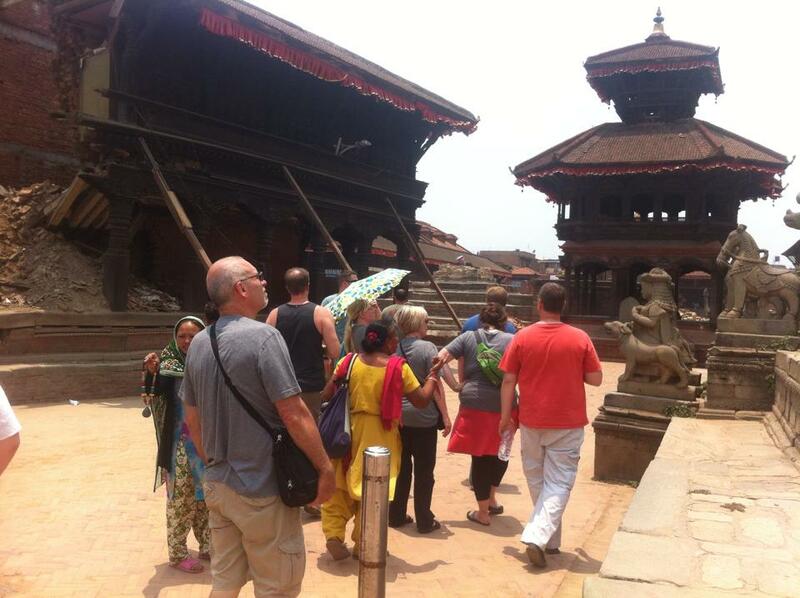 More than 2 million tourists have visited Nepal from neighboring countries of India and China. According to the statistics of the Board, In 2017 , More tourists are from India and then from China. During this period, 1,88,784 tourists visitors were from India while 1,09,839 visitors were from China. After India and China around 79,255 tourists were from America, 52,690 tourists were from Britain and 45,313 tourists were from Srilanka .